If you're look for exotic game and lots of it, Cougar Run Ranch is the place! We have Axis Deer, Fallow, Russian Boars, Piney Rooters, Feral Hogs, Texas White Dall Ram, Black Hawaiian Rams, Corsican Ram, Mouflan... Do you get the idea? And there's more! We offer packages for all hunting tastes (no pun intended!) From fully guided hunts to do it yourself still hunting. 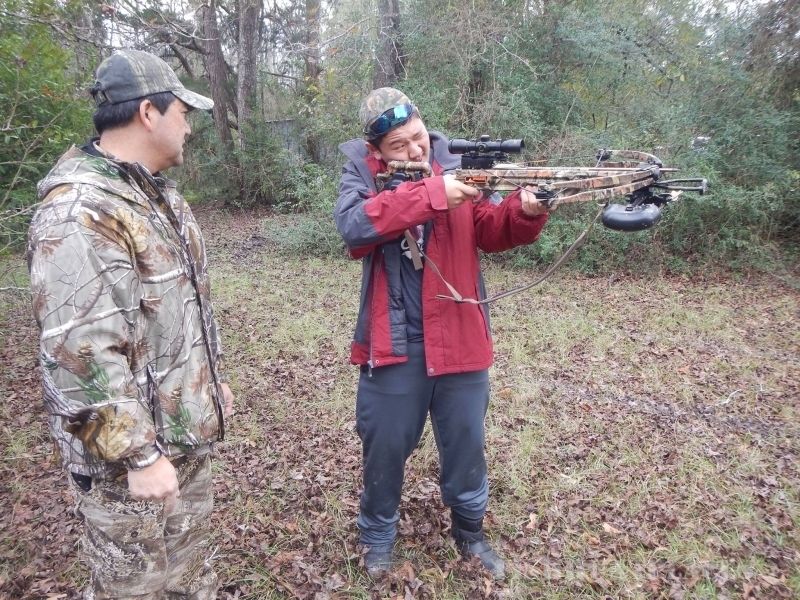 Rifle hunts or bow hunts are available. We even have parent and child packages where we assist you in making memories for a lifetime! So where is this meca of hunting pleasure? Less than 1 hour from Houston downtown! That's right - right in your own backyard! So, what are you waiting for? Peruse our site and see what we've got to offer. Then give us a call or drop us an email to schedule your next successful hunting experience!